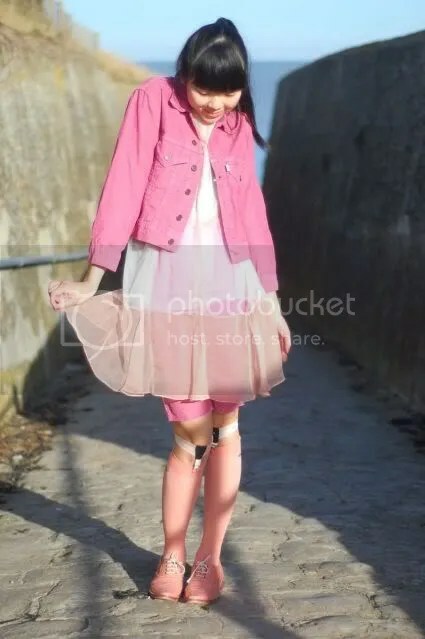 Everytime this girl appears on Dropsnap it makes me smile. 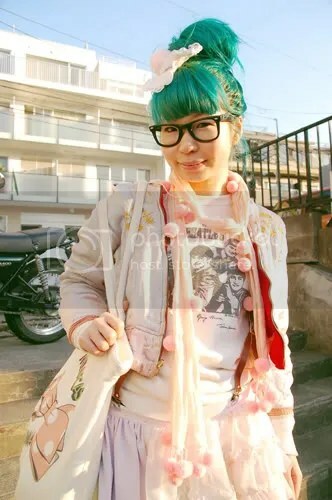 >>Thanks to a reader who pointed me in the right direction and a bit of detective work later, the lovely Japanese girl is Tavuchi who blogs for dropsnap here and also runs her own vintage stores in Tokyo called Spank! 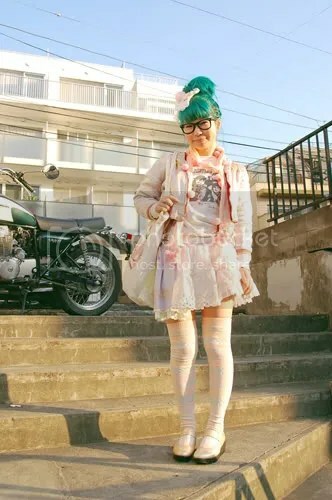 I love all the girly frills, pastels and of course, her trademark green hair. Something I’ve always loved is the the matching shoes and socks business. It’s clear that Susie is also a fan. I love the pink. I caught up with my friend Becky today who I haven’t seen in the longest time. I had such a great day, reuniting through our mutual love of Sushi and she reminded me how insanely cute Ponyo by Hayao Miyazaki is. It makes me melt a little bit when I listen to the theme song. I warn you now, it’s cute overload.